Homeowners frequently ask if they should put off waterproofing their basement until spring. The short answer is NO. It’s always best to take care of the problem as soon as it is noticed. 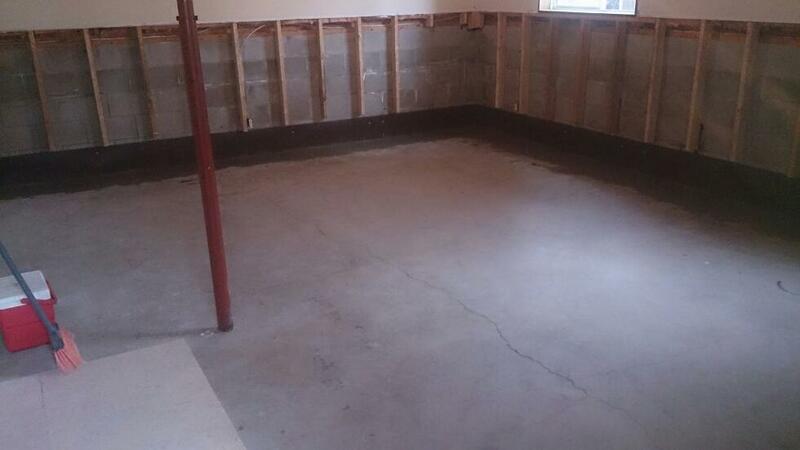 Leaving your basement unprotected will only lead to damaging your foundation walls, some of which can be extensive. In the Windsor Essex County and Chatham Ontario region, the continual thawing and freezing of the ground, snow and ice causes soil or clay to expand. With the arrival of warmer spring temperatures, the ground contracts, leaving a gap between your home and the ground where water flows downward. If not properly sealed, the water will find its way into your home. The expansion of soil and clay during the winter can also cause your foundation to crack, or make existing cracks much larger leading to easy entry for water and moisture. During the winter months, we can perform various types of interior waterproofing that includes the repairing of cracks, installing weeping tile drains, and removing and installing the proper sump pump system. If you wait for the arrival of spring you may find yourself with a bigger problem that cannot be fixed immediately. Waterproofing companies are in high demand during the spring season, making it difficult to tackle same day or same week repair calls. Project your basement over the winter by making sure it is sealed properly. That way you not be surprised with a leaky or flooded basement in the spring. Contact us for a free no obligation quote.